Source – Sent over from the publisher… thank you! Synopsis – Following the success of Essie Fox’s highly acclaimed debut THE SOMNAMBULIST, this is a gloriously gothic new novel from one of the most talented historical writers around. Since she was found as a baby, floating in the Thames one foggy night, the web-toed Pearl has been brought up in a brothel known as the House of Mermaids. Cosseted and pampered there, it is only when her fourteenth birthday approaches that Pearl realises she is to be sold to the highest bidder. In this bewitching, sensual novel, Essie Fox has written another tale of obsessive love and betrayal, moving from the respectable worlds of Victorian art and literature, and into the shadowy demi-monde of brothels, asylums and freak show tents – a world in which nothing and no-one is quite what they seem to be. I really liked Elijah’s Mermaid… once it got going. I’ll be really honest here and say that the slow start (for me, anyhow) was really the only thing that got me down about Fox’s novel. Other than that, the atmosphere, tension and brutally real descriptions were spot on and made Elijah’s Mermaid a very creepy book. From the obsessive Osborne Black to the not-quite-right Uncle Freddie to (who can forget) the appalling chapters which took place in a mental asylum, Elijah’s Mermaid was at turns terrifying and beautiful. Fox has a way of weaving the damp, cloying atmosphere of the book into every situation and character to the point where I almost expected the physical pages to be dripping. Elijah’s Mermaid was well crafted and, you can tell from the start, well researched. There’s a bit towards the beginning about Pearl looking out her window on Cheyne Walk across the Wandsworth fields. I literally read that bit as I passed Cheyne Walk and crossed Battersea Bridge (also a feature in the novel) into Wandsworth on my way home from work. I giggled (on the inside) and couldn’t even begin to imagine the sprawling urban area that is Wandsworth as anything but! All in all, Fox has written a good, solid novel that I would recommend to anyone into Victorian London, women’s mental health issues or anyone looking for a foray into the fantastical. 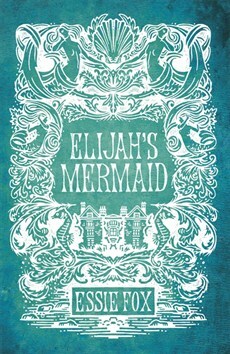 Elijah’s Mermaid can be purchased online from a variety of sources or in all good bookshops here in the UK. For more information on Essie Fox or her novels, check out her website here or her fabulous blog The Virtual Victorian.